Ensure fulfillment of all ODA commitments to LDCs and align ODA with national plans and priorities and national systems and procedures. (v) Donor countries should review their ODA commitments in 2015 and consider further enhancing the resources for LDCs. 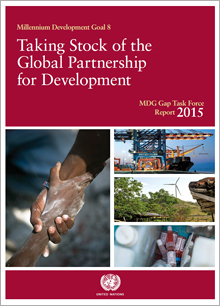 0.15-0.20% of donor GNI provided as aid to LDCs, equivalent to $ 67 billion to $89 billion (in 2014 dollars). 0.10 % of GNI in 2013, equivalent to $44.5 billion (in 2014 dollars). Between 0.05 % and 0.10% of DAC GNI, equivalent to $22 billion to $45 billion (in 2014 dollars). Not new commitments; see Brussels Programme of Action for the LDCs for 2001-2010. The deadline was adjusted to 2015.